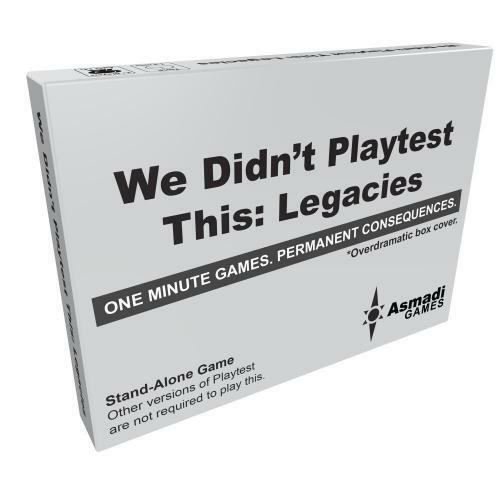 Fill in your details below and we will let you know within 24 hours if we can get We Didnt Playtest This: Legacies to you with haste! Playtest: Legacies contains more new cards with a unique twist: You get to write on them. Many of the cards will instruct you to write names or words, causing the effects to permanently change! We recommend getting a Sharpie brand marker for card-writing-on. Legacies can be played stand-alone, or combined with the other Playtest games.